OK. 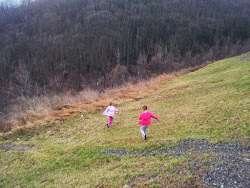 So here's the thing - when you write an outdoor blog as a hobby sometimes there's more outdoor happening than blogging and then there is the whole "work" and "life" things that are always there hanging around as well. I do this just for fun, so just like someone puts down a partially knitted sweater for a bit, sometimes I put down the blog for a sec, especially if I'm already writing a lot at work. So I have a number of half-finished posts I had great intentions for but that always seemed to get put on hold or forgotten about. This is the first of those, so while it's a little off-season, it's still a cool thing. Plus you eat syrup on pancakes, which are totally an all year thing. I'm done with excuses now. That's a lot of sap! Tree sap, properly prepared, is delicious. Well, at least the maple kind is. On a (not-so) recent trip to the Kortright Centre we ate it both straight from the tree (meh) and then boiled down (yum). 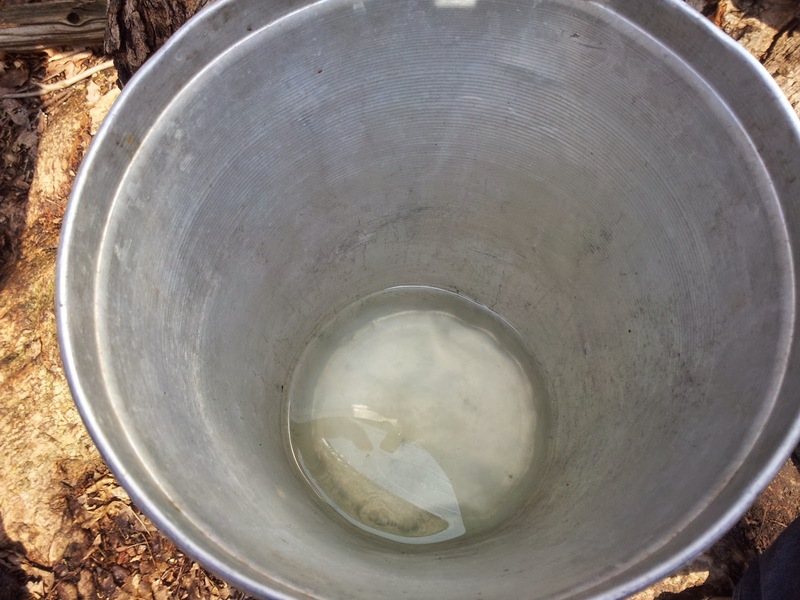 We learned how the First Nations made syrup - by placing sap in hollowed wooden troughs and adding hot rocks to evaporate the water. We learned how the settlers made it - by boiling it for days in cast iron kettles. And we learned how they do it now - the same boiling method, just much more efficient and indoors. At the first station they showed us a picture of a deer licking a tree - this was one of the first indications to people that there was something worth getting in there! But what comes out is more water and less delicious sugary syrup. So what is that original stuff? 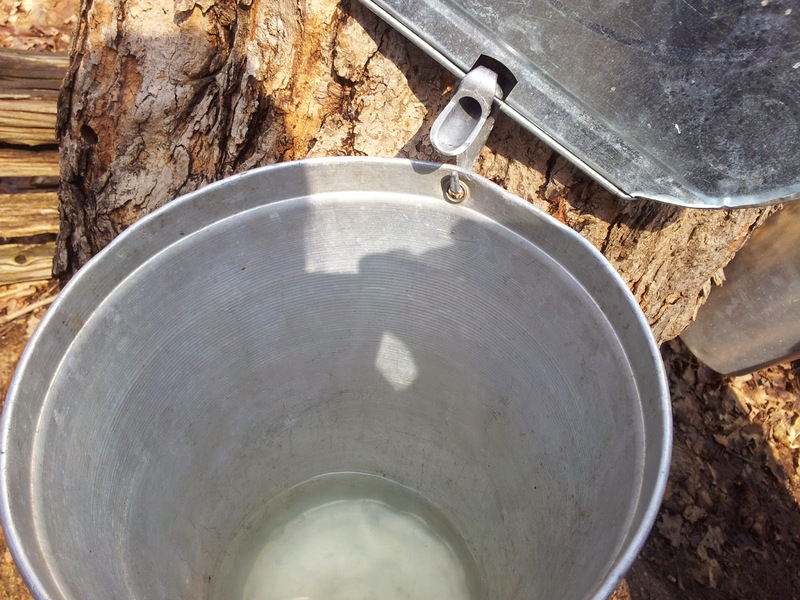 We saw all kinds of ways to get the sap out of the tree, but what we didn't learn, and what got asked was how the tree gets the sap in the first place. How are you getting in there sap? 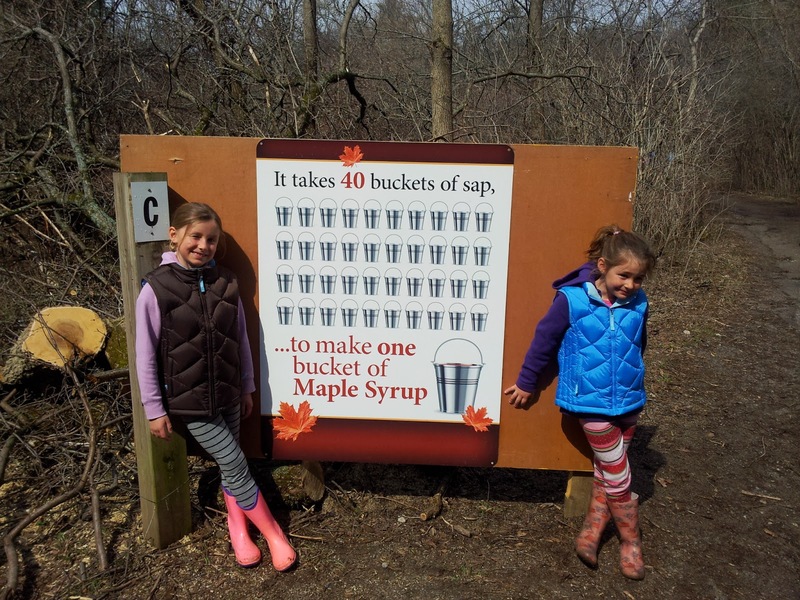 So not surprisingly maple syrup is made from maple sap (sugar, red or black, but usually sugar). In colder climates (like here!) 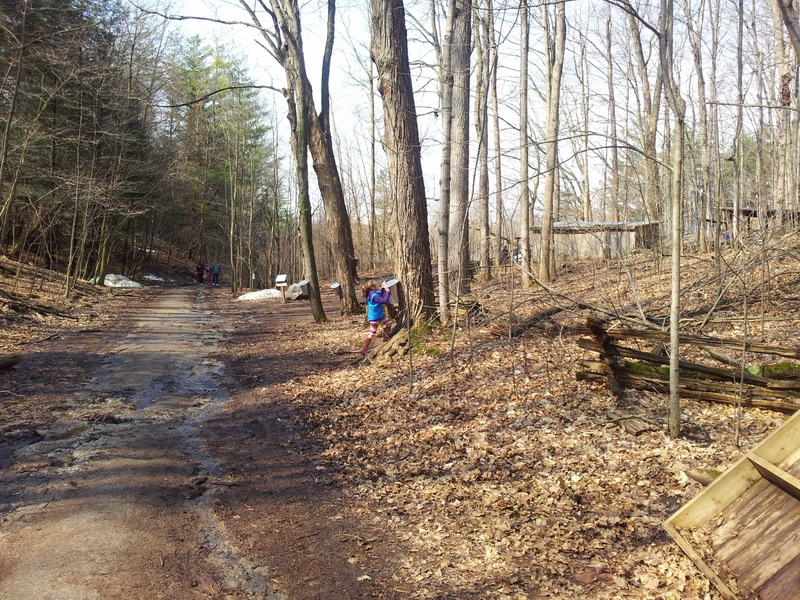 the trees are dormant in the winter and store starch in the trunks and roots where it is converted to sugar that rises in the sap in the spring to feed leaf growth. Specifically, this is called xylem sap. In the sap are water, some plant hormones, minerals and other nutrients that travel from the roots towards the leaves. There are some theories on how it actually gets up there, but it seems like most people agree on cohesion-tension theory, which has it travelling up through xylem cells by the force attraction between the molecules working against gravity - why it can flow up. 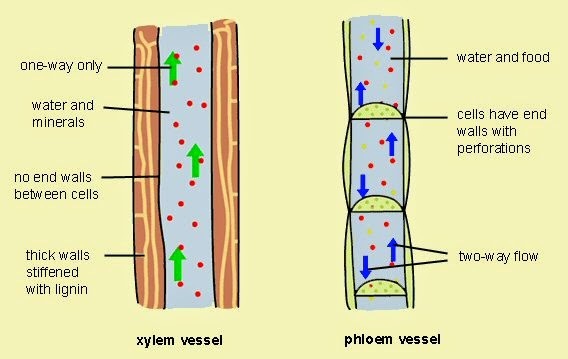 The other transport is through Phloem, but it does not create a delicious food so we aren't going to discuss it much other than to say that it's job is to transport the nutrient filled sap from storage or production to areas that require it for growth or storage - it flows in multiple directions through living cells and therefore can't be tapped like the initial spring surge of xylem. The FPAQ (Fédération des producteurs acéricoles du Québec - Federation of Quebec Maple Syrup Producers) has a strategic reserve of maple syrup located in warehouses in small Quebec towns - holding millions of kilograms of maple syrup. If that wasn't crazy enough in August 2012 theives stole millions of dollars worth of syrup from one (a quarter of the supply) - about 20 people have been arrested in the great maple syrup heist and they are making a movie about it. 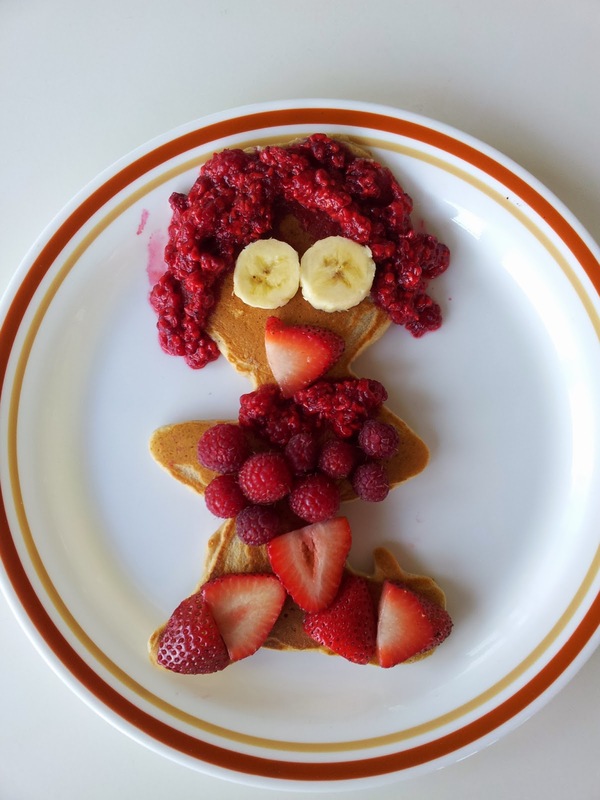 Miss Georgina Pancake loves syrup!